• No smelly cans of kerosene or bulky propane cylinders. • Earth’s cost-free, fume-free, ever-renewable power source: the sun. • 108 LEDs producing 3 watts, a 2.1A USB power port, 4 watt solar panel, and a built-in rechargeable battery. • Recharged from a wall outlet or from the the sun. • Can charge your USB devices. • 108 LEDs drive two brightness settings and 360 degrees of illumination. • A single on/off switch allows you to cycle through the lantern’s functions: Low, High, and Off. • A collapsible swing handle that pivots for easy hanging. Looking for a lantern that is earth’s cost-free, fume-free with ever-renewable power source: the sun? You no longer have to deal with smelly cans of kerosene or bulky propane cylinders. 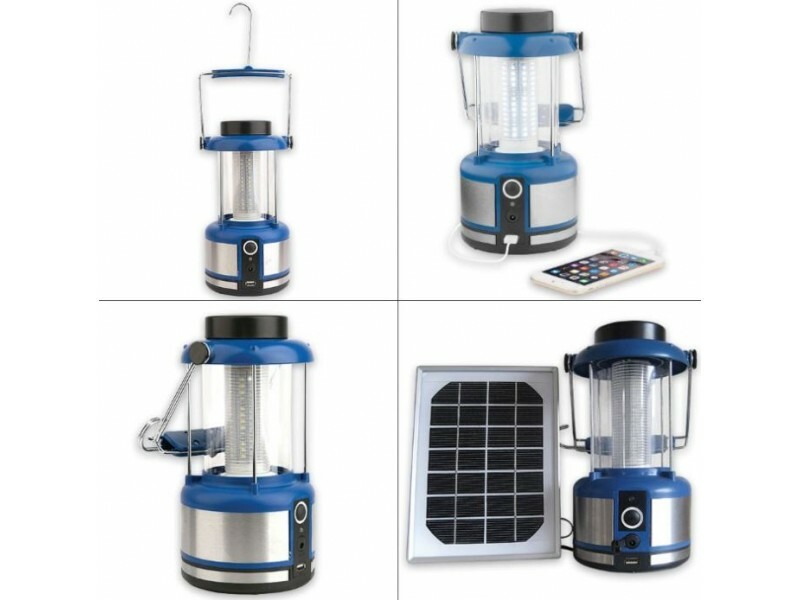 The Wagan Tech Solar-Powered Classic LED Lantern comes with 108 LEDs producing 3 watts, a 2.1A USB power port, 4 watt solar panel, and a built-in rechargeable battery. 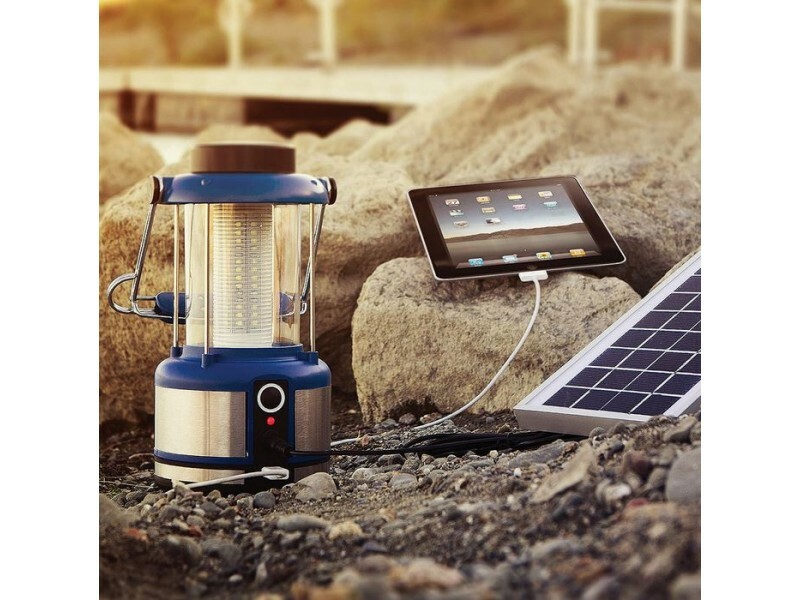 This amazing lantern can be recharged from a wall outlet or from the the sun, and can even charge your USB devices, making it the ideal lighting device for emergencies, power outages or any time convenient and reliable light is needed. 108 LEDs drive two brightness settings and 360 degrees of illumination, and though feature-packed. 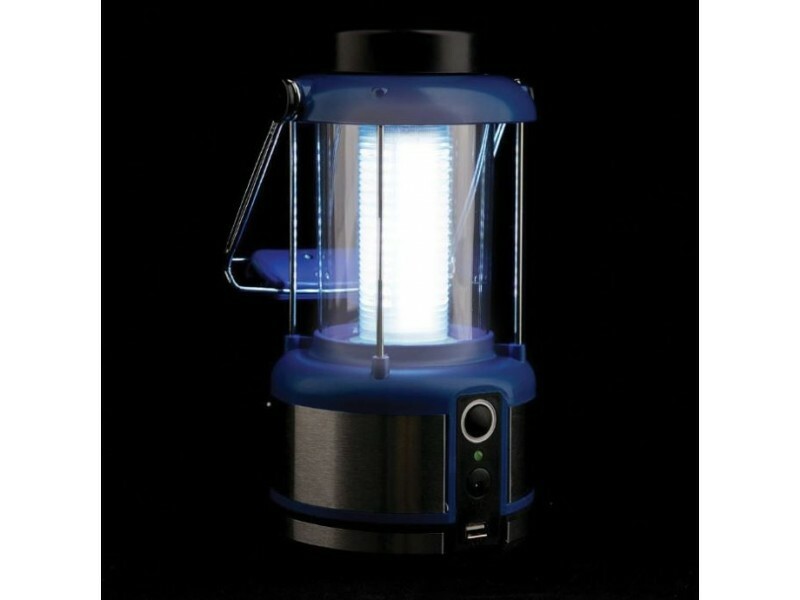 It has a single on/off switch that allows you to cycle through the lantern’s functions: Low, High, and Off. 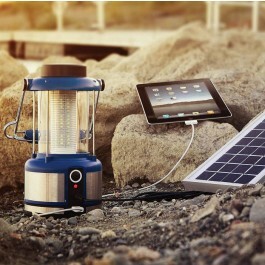 The handle pivots and has a collapsible swing handle that allows the Solar Powered Classic to be hung with ease. A must-have for every household.